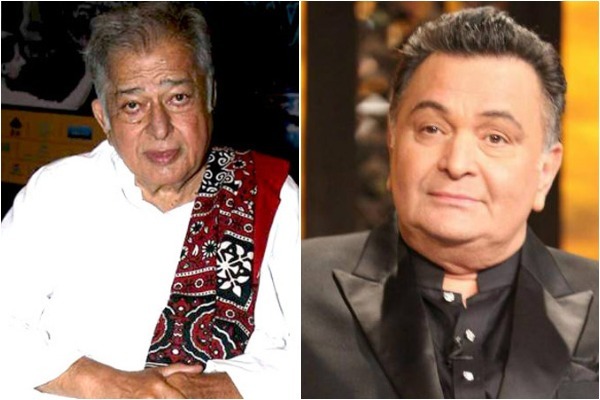 New Delhi [India] Mar 18 (ANI): On the occasion of the 81st birth anniversary of Shashi Kapoor, his nephew and veteran actor Rishi Kapoor remembered the legendary actor. Bangkok [Thailand], June 25 (ANI): The 19th International Indian Film Academy (IIFA) Awards on Sunday paid a tribute to late legendary actor Shashi Kapoor for his outstanding contribution to Indian cinema. New Delhi [India], Mar. 05 (ANI): Fans and celebs alike got emotional after the 90th Academy Awards paid homage to the late Indian actors, Sridevi and Shashi Kapoor. Islamabad [Pakistan], Feb 11 (ANI): According to the latest reports, 'PadMan' has been banned in Pakistan. New Delhi [India], Dec 10 (ANI): Bollywood superstar Salman Khan, who is all geared up for the release of his upcoming film 'Tiger Zinda Hai', turned emotional as he remembered Vinod Khanna and Shashi Kapoor. Mumbai (Maharashtra) [India], December 7 (ANI): Many B-town celebrities and family members turned up at the Prithvi Theatre in Mumbai for a prayer meet arranged to honour the late actor. New Delhi [India], December 6 (ANI): Celebrities continue to pay tribute to one of the Bollywood's foremost romantic icons Shashi Kapoor, who passed away a couple of days ago. Mumbai (Maharashtra) [India], Dec 5 (ANI): Veteran actor Shashi Kapoor, who passed away on Monday, was honoured with a three-gun salute in the presence of his family and the film fraternity on Tuesday. New Delhi [India], December 5 (ANI): Many Bollywood celebrities came forward to offer their condolences to Shashi Kapoor through social media, but it was Dharmendra's endearing tribute to the actor that made every one emotional. Mumbai (Maharashtra) [India], December 5 (ANI): Bollywood celebrities have expressed their heartfelt condolences at the demise of veteran actor Shashi Kapoor. Mumbai (Maharashtra) [India], December 5 (ANI): The last rites of Bollywood veteran actor Shashi Kapoor was held at Mumbai's Santa Cruz crematorium, which was attended by people from the film industry.